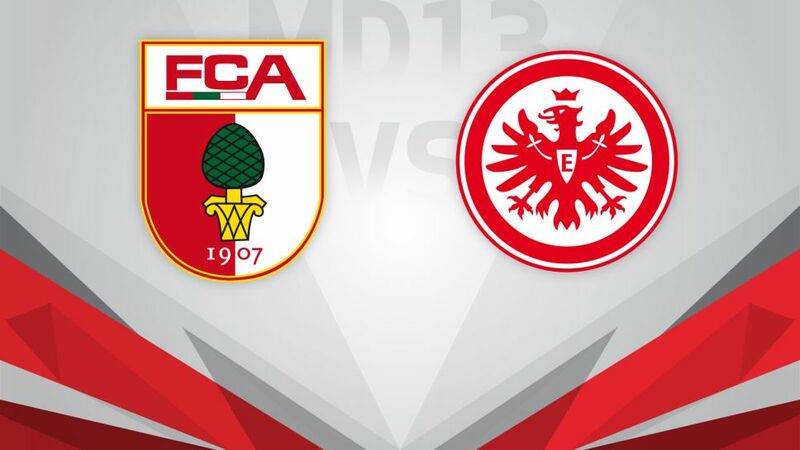 FC Augsburg will be looking to extend their unbeaten run to four Bundesliga matches when they entertain high-flying Eintracht Frankfurt in the final game of Matchday 13 on Sunday (kick-off 17:30CET/16:30GMT). Augsburg can be reasonably happy with how they have negotiated a couple of tricky fixtures over the past fortnight, holding European contenders Hertha Berlin and 1. FC Köln to goalless draws. If they can get another positive result against fourth-placed Frankfurt, Die Fuggerstädter will consider that they have got their season very much back on track, after picking up just a single point between Matchdays 6 and 9. Recent history is certainly on their side – they are unbeaten in seven Bundesliga meetings with the Eagles, since losing their first top-flight encounter against Eintracht in November 2012. Frankfurt will nevertheless come into Sunday's game on a high after claiming victory over Borussia Dortmund on Matchday 12. Die Adler are really starting to gel under former Croatia international Niko Kovac, sitting pretty in fourth place after consecutive wins against Köln, SV Werder Bremen and Dortmund. In fact, Frankfurt are enjoying a six-game unbeaten streak in the Bundesliga, and will be looking to put an end to their poor run of form against Augsburg. The goals could come from anywhere, with no fewer than 10 players getting on the scoresheet for the Eagles this season.